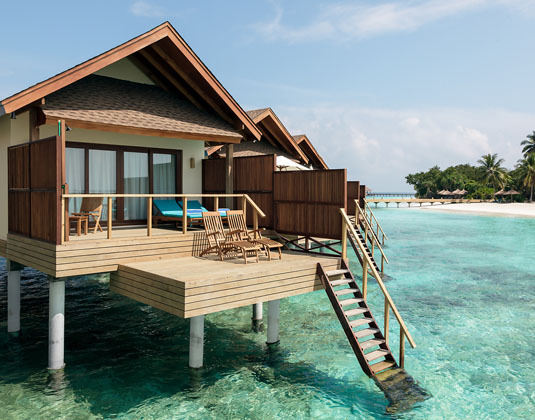 Set on the tiny island of Filaidhoo, Reethi Faru (the brand new sister island to Reethi Beach) promises a relaxing atmosphere, friendly service, a comprehensive selection of activities and a tasteful choice of cuisine. 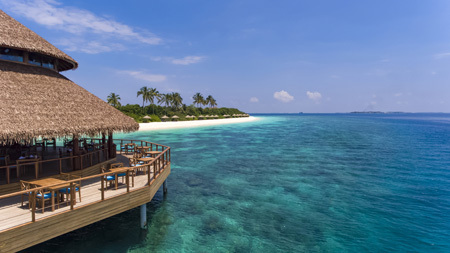 Reethi Faru translates as 'beautiful reef' and its stunning house reef, which is just steps from the shore, lives up to the name. 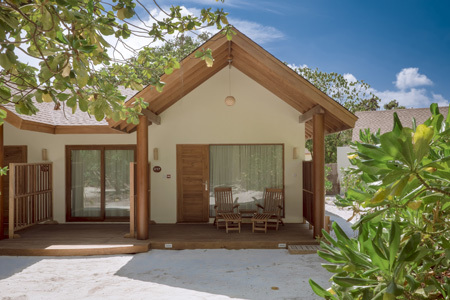 The spacious detached and semi-detached villas are traditional in style and blend perfectly into the natural environment, there are a wide range of recreational activities and numerous restaurants catering to everybody's taste. 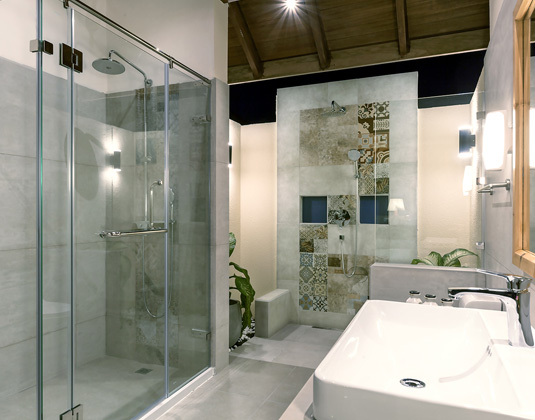 In garden villas, most of which are detached, with part open-air bathroom with rain shower, mini bar, safe and terrace. Larger deluxe beach villas which also have a bath. 2 bed beach or garden family villas. Detached deluxe jacuzzi beach villas. 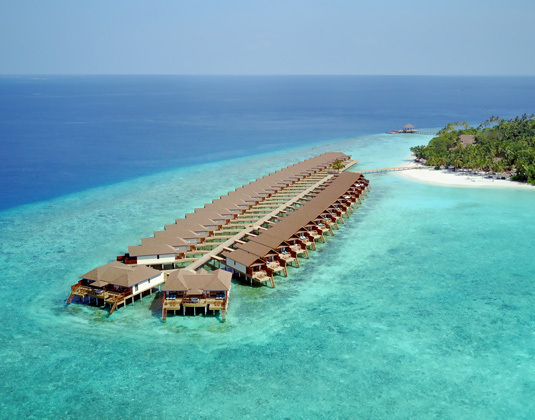 Detached water villas which are over the lagoon. 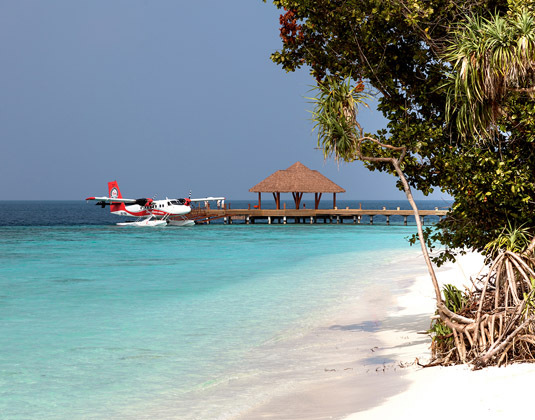 45 minute seaplane transfer from Male airport (approx 6am-5pm). Or 30 minute domestic flight with "Fly Me" and 20 minute speedboat transfer (no time restrictions). Please ask for details. Drinks package from £50 (per person per day): 07 Jan-31 Dec 19. Includes soft drinks, canned juices, coffee, tea, house red and white wine by the glass, draft and selected beers, selected spirits and a variety of cocktails/mocktails. Available at set times and at set locations. 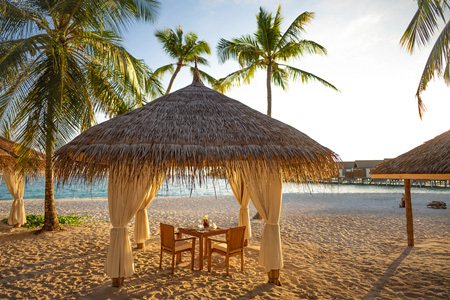 Honeymoons: 01 Aug 18-06 Jan 19 if you stay at least 5 nights receive one dinner with a bottle of wine. 07 Jan-31 Dec 19 receive a free upgrade to next villa category, subject to availability on arrival, 10% discount for an "Adam and Eve" massage, one special candlelit dinner with bottle of wine.